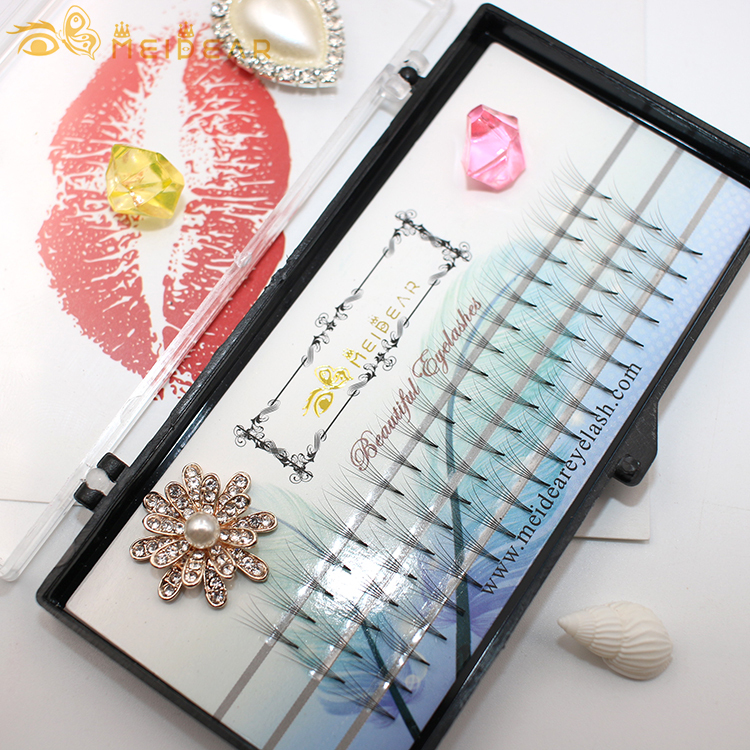 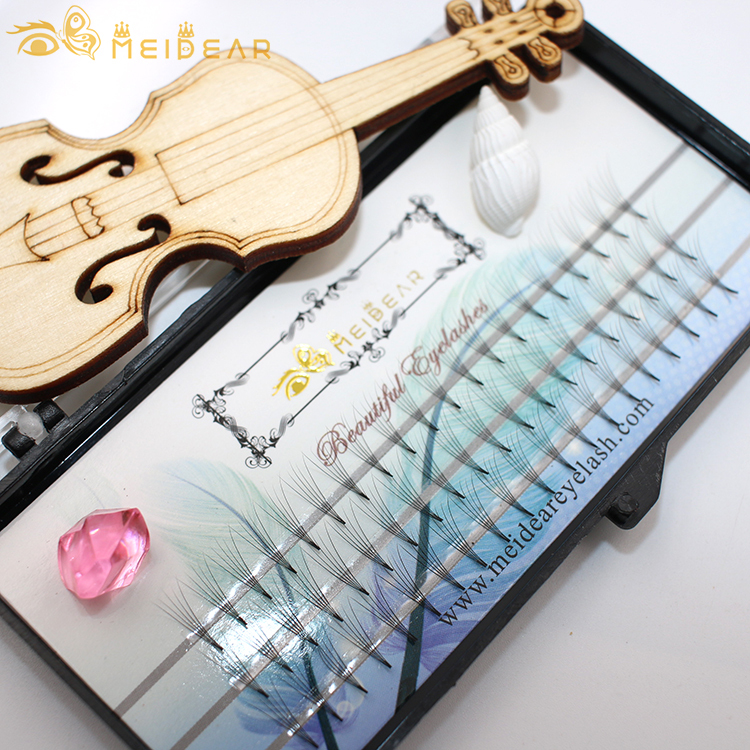 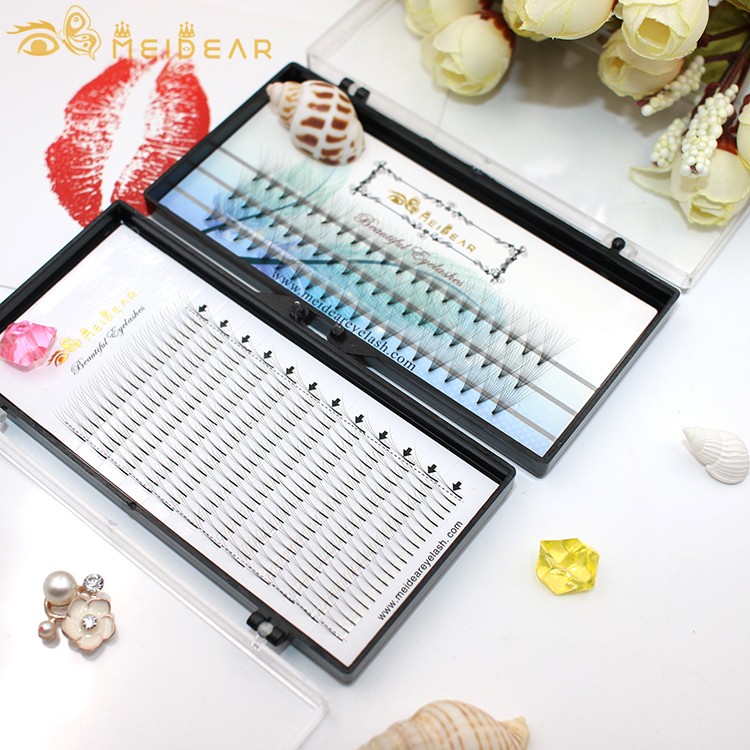 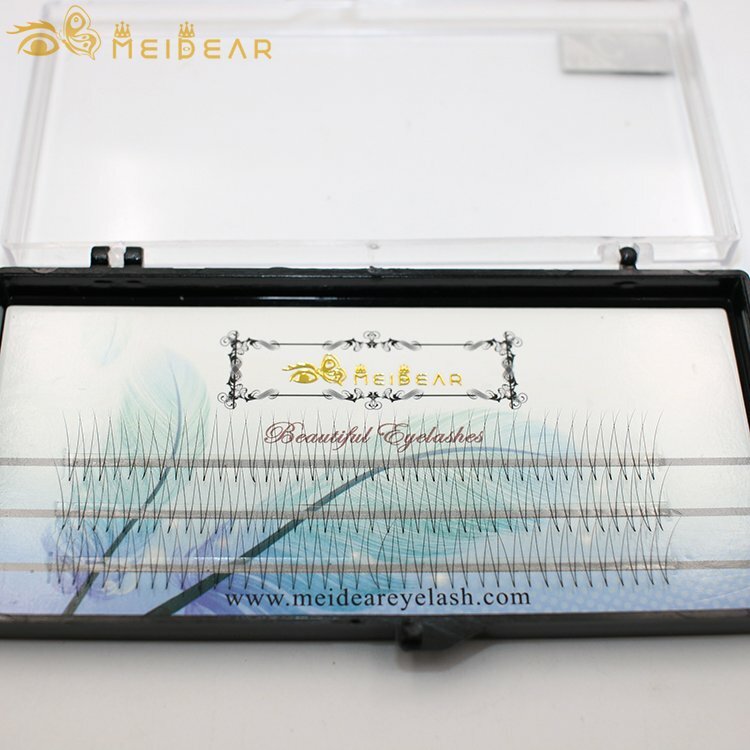 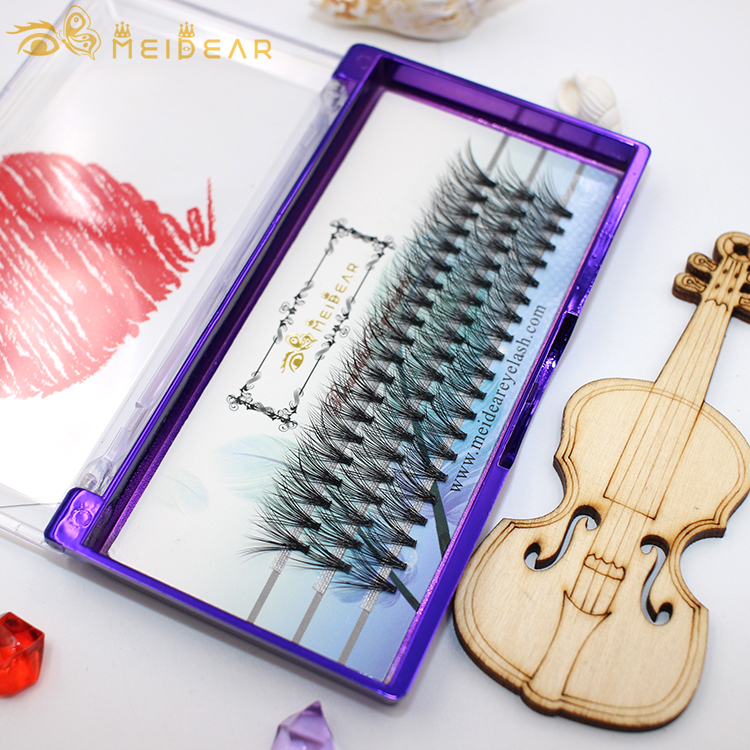 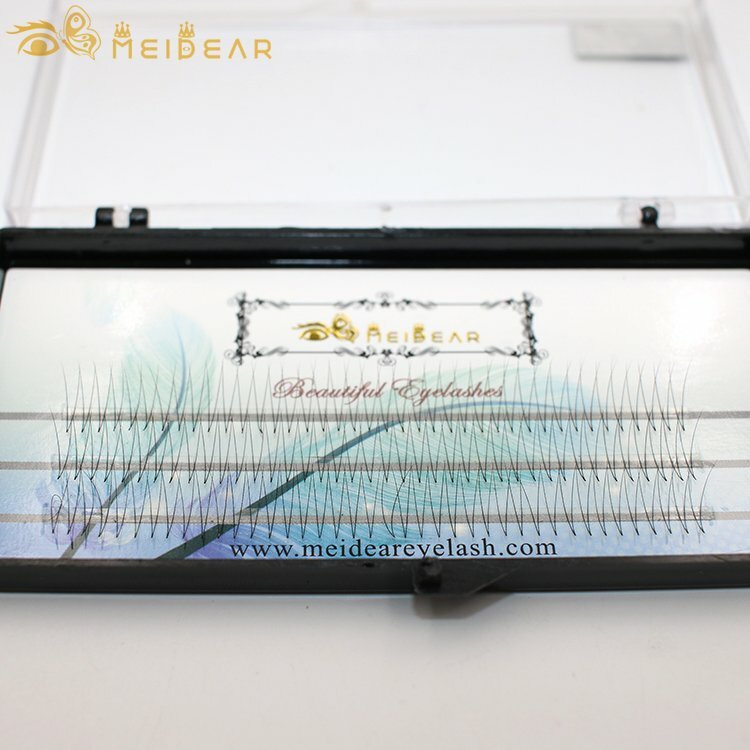 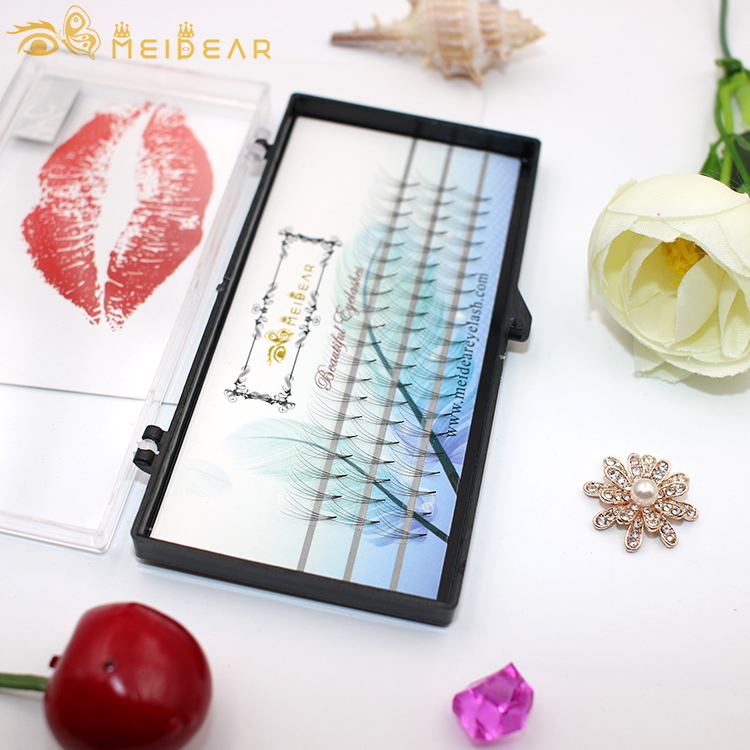 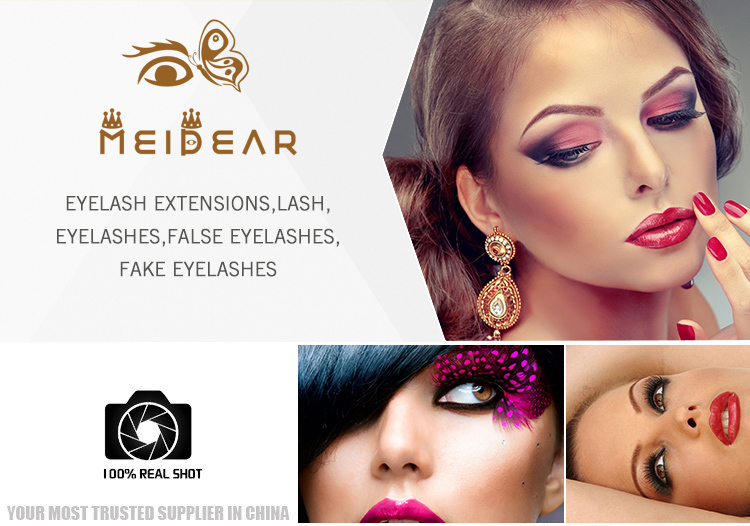 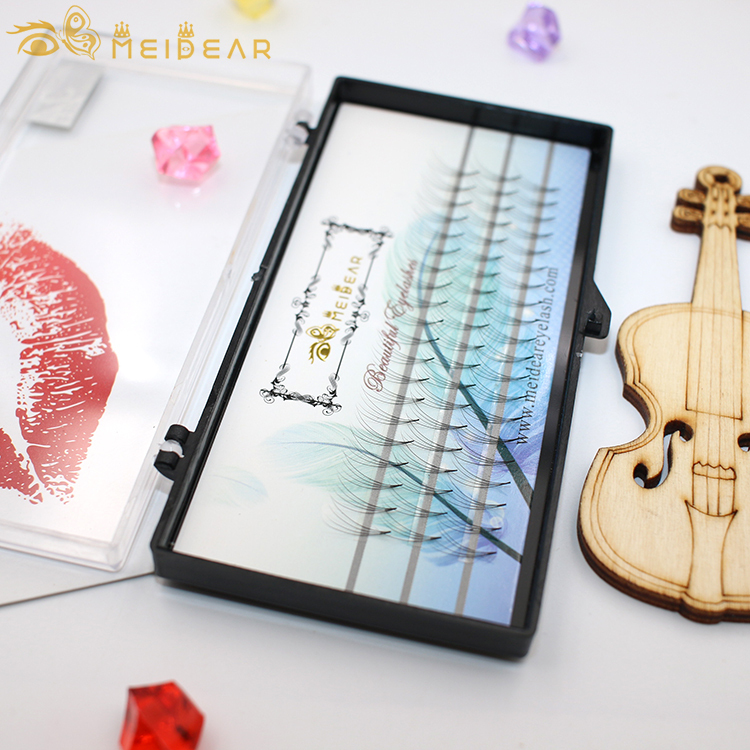 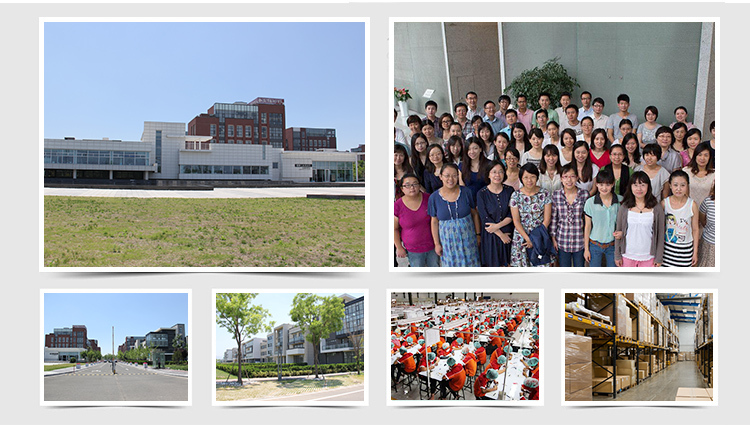 Wholesale custom packaging for premade fans volume eyelash extensions.Meidear eyelash is a professional eyelash wholesaler and have more than 20 years experience for premade fans volume eyelash extension production, we supply 2D,3D,4D,5D,6D,7D,8D,9D,10D,20D with curl I J B C D CC,all of our premade fans volume eyelash extension are 100% handmade,we have own factory and all of our products are best quality.We can also supply custom packaging to customers.Meidear eyelash is a one-stop wholesaler for all things related to volume eyelash extension products.Whether you are an amateur makeup artist looking for products to use at-home or a professional makeup artist in need of additional supplies to add to your kit, we have exactly what you need and it is all in one place.Wholesale custom packaging for premade fans volume eyelash extensions. 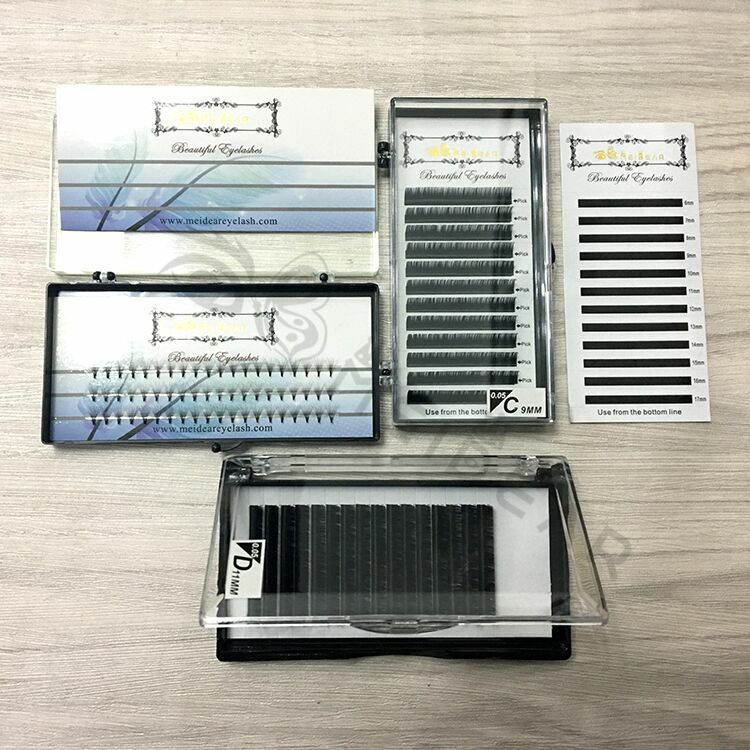 Our current inventory includes a variety of professional glues, hypoallergenic micropore tape, removers, brush appliicator and USB Handy Nano Mist. 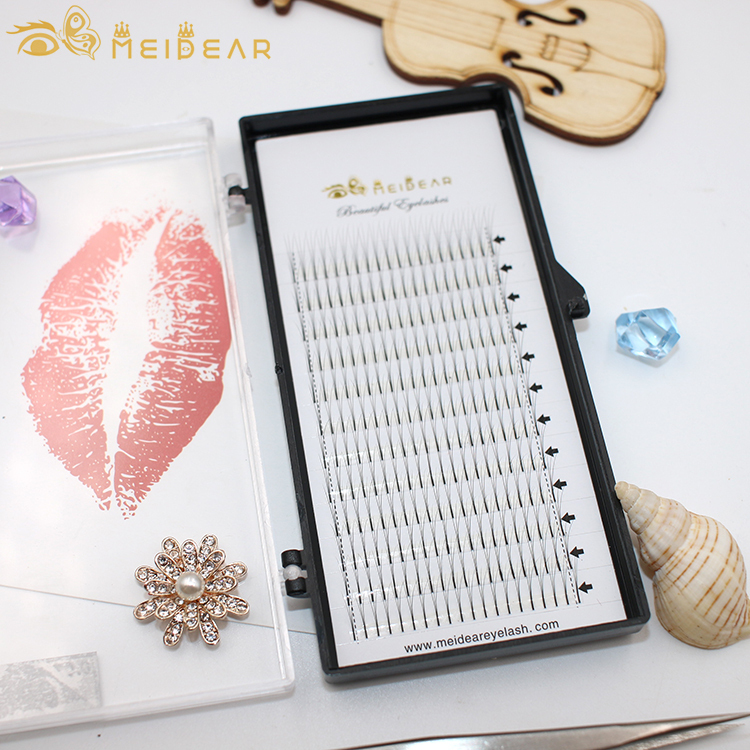 You can even find tweezers, glue rings, and other tools that are uniquely designed for those working with eyelash extensions. 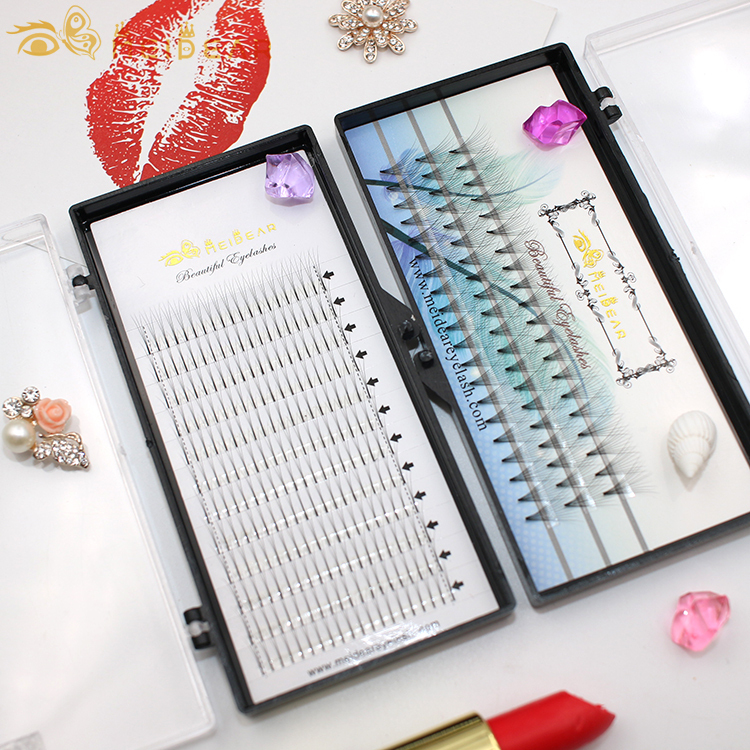 All of these items are essential to helping amateur and professional makeup artists with the application process.